Traditionally representing freedom, strength, and wisdom, this Eagle's Head Rosewood Plaque is ideal for all of your recognition needs! 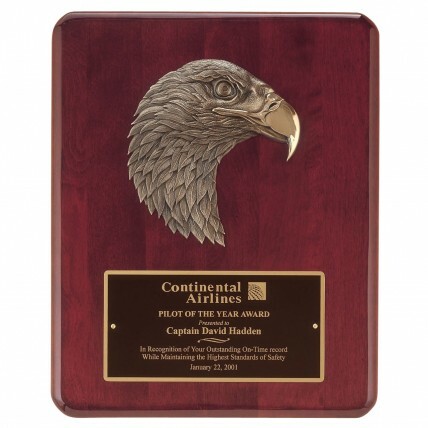 This award features a finely detailed eagle's head mounted on a solid rosewood plaque. Your engraving will be etched on a black brass plate and backed by a bright gold back plate.